MOSCOW. 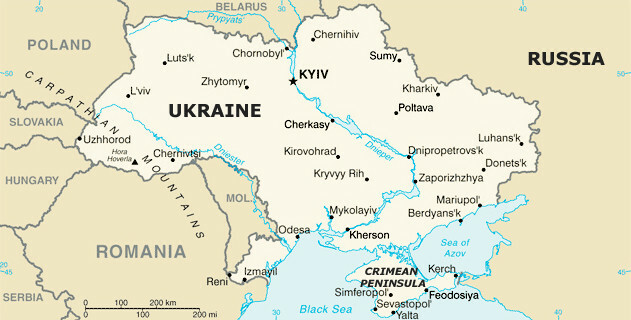 May 14 (Interfax) – Kyiv should grant special status to southeastern regions of Ukraine in order to preserve the country’s unity, says Konstantin Kosachyov, the head of the Russian Federation Council international affairs committee. “Only decentralization, reducing everyone to the same level would be not enough, and if Ukraine wants to preserve Donbas as its part, it should treat it as a special region – in particular, taking into consideration the sacrifices that it suffered as a result of the ATO [the antiterrorist operation], which turned out to be a war with one’s own people,” Kosachyov said in his blog posted on the Federation Council website on Thursday. The very fact that the leaders of the self-proclaimed Donetsk and Luhansk people’s republics (DPR and LPR) have submitted their proposals to Kyiv on amending the Ukrainian constitution, particularly by granting Donbas special status and proclaiming Ukraine’s non-aligned status, attests “to their willingness to reach agreement, despite anything,” he said. “The main issue today is whether Kyiv is willing to do so as well,” Kosachyov said. “As is well-known, the Minsk agreements envisioned that the constitution should stipulate decentralization taking into consideration specifics of certain districts in the Donetsk and Luhansk regions in coordination with representatives of these districts, along with the simultaneous adoption of permanent laws on special status of certain districts in the Donetsk and Luhansk regions,” he said. Kosachyov pointed out that NATO Secretary General Jens Stoltenberg had said at a meeting of the alliance’s foreign ministers on Wednesday that the Minsk agreements play a special role as a foundation for settling the conflict, with the understanding that granting special status to Donbas is part of the Minsk agreements. “And, judging impartially, it is precisely the LPR and DPR that are strictly following the Minsk track so far by putting forward their initiatives for coordination. If Kyiv’s response implies only blockade and shelling, this would mean that it is openly sabotaging the Minsk process. But, as a matter of fact, there is simply no alternative to it. What is at stake is not only the Ukrainian president’s already dubious reputation but also the authority of the French and German leaders, who have supported the general document,” Kosachyov said. Letting down its principal partners and creditors would be another unforgivable and tragic mistake for the current Kyiv leadership, he said.